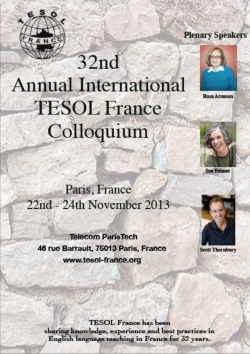 I’m writing this post from my hotel room, a few hundred metres from the site of the 32nd Annual International TESOL France Colloquium. Over the weekend the delegates have the opportunity to listen to internationally renowned speakers such as Scott Thornbury, Sue Palmer and Rosa Aronson, as well as many others from around France and beyond. Thanks to Debbie West and her team for getting this conference together. I will be presenting my talk ‘Getting them Speaking’ tomorrow at one o’clock, and I would like to take this opportunity to publish the link to the slideshow of the talk, as well as links to posts on this blog which have covered some of the activities which I am using in my talk. I hope you find it useful. 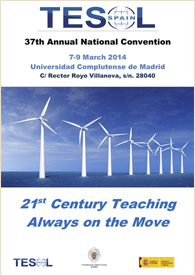 A year ago, on my way home from the XXVI Jornadas GRETA, this blog was born. Yesterday the XXVII Jornadas GRETA ended, and I have a moment to post the links to the presentations of my talks before heading back to Madrid. But before talking about my own presentations, I would like to take this opportunity to thank everyone for a very enjoyable conference. Thanks to the speakers whose talks and workshops I attended – Dr Jesús García Laborda for his insights into the new Bachillerato test which is causing so much uncertainty at the moment here in Spain, Jane Skellett for her wonderful hamburger analogy for a genre approach to FCE writing (and a welcome reminder of how great the Meg and Mog books were! ), Trinidad Jerez for sharing her ideas for getting the most out of IWbs and iPads in the classroom, Natàlia Maldonado for eight guiding principles for teaching CLIL science, and of course the irrepressible Chris Roland for more insights into the thorny issue of classroom management and discipline. And very special thanks to the organisers – the ‘girls in black’, particularly Rocío, who looked after me so wonderfully in my sessions, Antonio and most particularly Charo Reyes, without whose titanic efforts none of this would have been possible. This year I gave two presentations, one o Friday and one on Saturday. My Friday session was on the use of cohesion and Halliday and Hasan’s idea of ‘texture’ to help students to improve their reading and listening comprehension. You can access a PDF of the presentation here. On Saturday, my workshop was on speaking activities which I have used with teenagers, from practising questions to games involving extended speaking. A PDF of this presentation is here, and there are links within the PDF to other posts in this blog where the different activities are explained in more detail. Now I’m off for a brief visit to this beautiful city, before once again I have to head back to Madrid. Not having attended the 23rd IATEFL-Hungary conference doesn’t mean you can’t get a flavour of it. After last year’s successful online coverage (see Eger Online blog), our enthusiastic team was again on an incredible journey through the world of professional development. Many thanks to everyone in the online team for making this initiative a huge success. This looks like it’s going to be a great online event. For more information, click here. 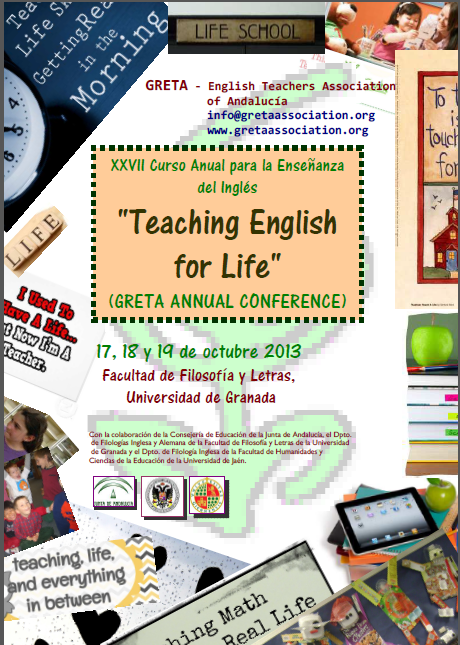 The annual conference of the Granada English Teachers’ Association (GRETA) will take place on 17th – 19th October at the Facultad de Filología of the Universidad de Granada. The theme this year is ‘Teaching English for Life’, and speakers include Liam Fitzpatrick, Patricia Reilly and Chris Roland, with opening and closing plenaries from Do Coyle and David Marsh. The programme is now available. I will be speaking on Friday at 4pm and again on Saturday at 4pm. 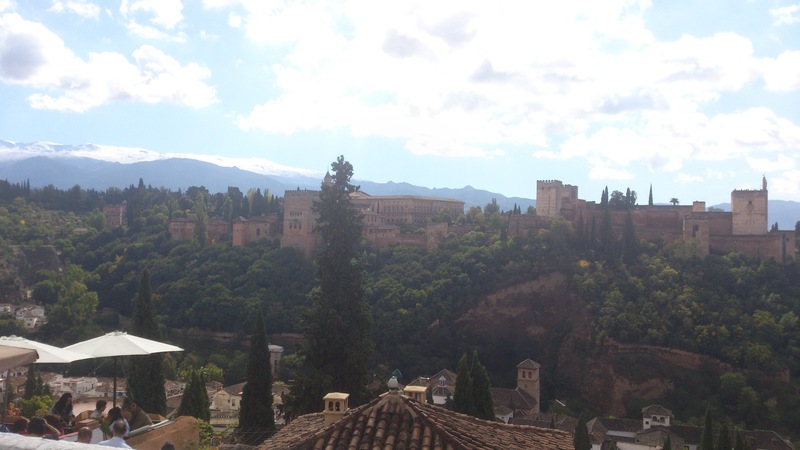 This promises to be a great conference, and I’m looking forward to going back to Granada this year. Hope to see you there!